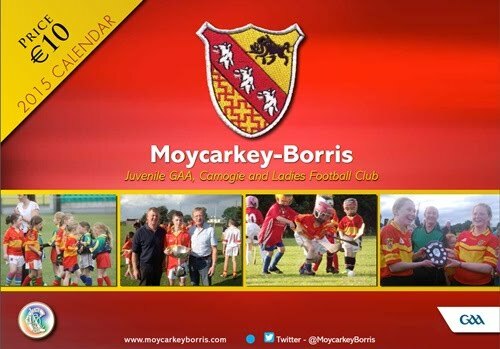 The 2015 Moycarkey-Borris GAA Club Calendar is now available and on sale in the local shops in the parish. The calendar includes photos from the the very successful year for the Juvenile Club in addition to Camogie and Ladies Football successes. Retailing at 10 euro, all proceeds will go towards the running of the club for the 2015 season.